Spoon half the yogurt into a glass. Top with half the crumbled cookie and half the berries. 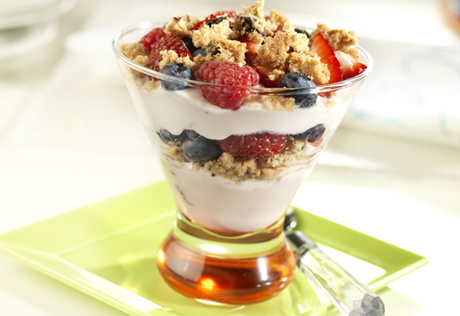 Top with the remaining yogurt and berries. Sprinkle with the remaining crumbled cookie.